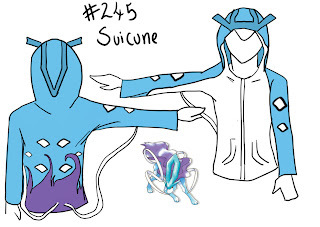 I was talking to co-editor Ink yesterday on Skype, and we were discussing different hoodies and I came across designs of pokemon hoodies by this artist. I thought they were pretty amazing! I'd love to see someone make these a reality. The rest the artist has done can be found here. Pretty cool designs, right? What do you think? Interesting. Though I don't think I'd wear one anymore, I'd have loved these 10 years ago! I made myself a Pokemon jacket with a hand-stitched Pokeball on the back in high school. I felt awesome. Also I was a nerd. But it was AWESOME. Some creative concepts for sure, and if I did wear one of those, I'd probably keep the hood down so the ears wouldn't attract attention. 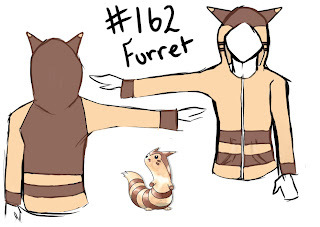 Furret is probably my favorite of the bunch. 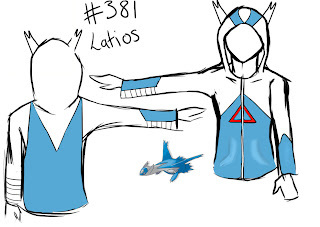 Maybe the Latios design should go with gray instead of white to to better match the Pokemon as well? Sorry to nitpick. Speaking of nerds...you can't really see the plush Pikachu stitched to my shoulder, but he's there, alright! Ha ha, nice! I didn't have a Pokeball to go with my jacket, but my aunt crocheted me one filled with beans so I could throw it at people. 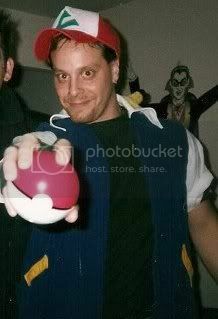 When I was like 20, so it isn't as if I was 8 or something, going around throwing a Pokeball at people. The artist hasn't done Snivy or any of the Gen V pokemon yet, but I should ask her about that! Is there a Mudkip one? I want one of those. 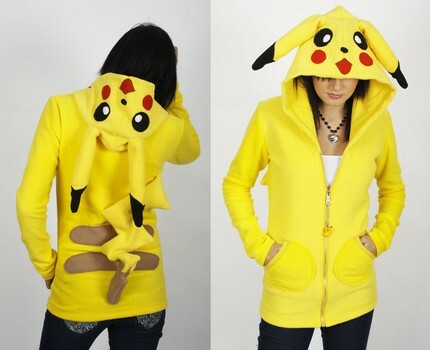 I would by a Sandslash hoodie. And I don't even wear hoodies. 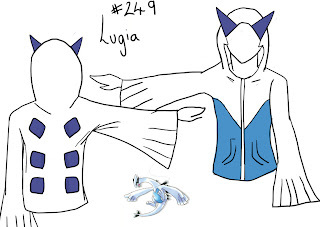 I just mentioned that in my comment of her latest design, a Dragonair!!! I want one so badly! I can definitely see these types of hoodies being sold well to kids in Japan, but not in the U.S. Perhaps only to the youngest of kids in the U.S. would these sell in mass. Are you kidding? At my art school they would eat these up. They were all kids when Pokemon first launched, so they're all still obsessed with it. And since it's art school, this sort of thing is the norm. No kidding, I just bought a new hoody with a pattern that reminds me of a Sandshrew. Actually that's at least half of the reason I chose that one in particular.